Can Ethiopia’s Economic Growth Model Become A Template for Africa Despite the World Bank’s Objection? It is common these days, when Western nations are discussing the government of Ethiopia, to hear a raft of attacks on that nation for “human rights violations.” But is that a true picture? The most fundamental human right is the right to live. Like China, which has lifted 500 million of its citizens out of poverty over the last three decades, Ethiopia has reduced the number of people living in poverty by one third over the last decade, from 38.7% of the population in 2004 to 26% in 2014. In tandem, according to the CIA’s World Factbook, the crude death rate has declined by over 50%, and life expectancy has jumped from 40.88 to 60.75 years. In neither country was this accomplished by accident, but rather by intention through government-directed policies, which recognized the critical role of the state in fostering economic growth, especially in supporting infrastructure projects in vital categories of water, energy, roads, and rail development. In the case of Ethiopia, this is the result of the of the intellectual leadership of their now deceased Prime Minister, Meles Zenawi, who developed the concept of the “Developmental State”–a state whose single-minded purpose is accelerate growth, and provide guidance to the private sector to that end, as opposed to simply relying on the so called magic of the market place to secure the nation’s future. Ethiopia, the second most populous nation in sub-Saharan Africa, with a population approaching100 million people, is on a unique path of growth as a result of successful state interventionist policies. While it cannot be denied that poverty exists, Zenawi and his legacy have changed more than the direction of Ethiopia; they have actually changed the dynamic of the economy to the point that even Ethiopia’s detractors have begrudgingly been compelled to acknowledge that fact. After settling an internal policy debate, Ethiopia’s leadership beginning in 2001 determined that the long-term vision for this large undeveloped nation was not to manage poverty, but to eradicate it. This vision of the future, thinking generations ahead, has governed the nation’s policies in the present. It has also guided the thinking for the selection of the nation’s economic goals outlined in Ethiopia’s first Growth and Transformation Plan-(GTP I), 2010/11–2014/15, and draft of The Second Growth and Transformation Plan-(GTP II), 2015/16–2019/20. GDP growth rate at 11.2%; after four years it was 10%. Agricultural growth rate at 7.3%; after four years it was 6.6%, a drop of 1% from its growth rate of 7.6% in 2009/10. Industry growth 21.4%; after four years it was 20%, almost double the 10.8% growth rate of 2009/2010. Industry as a portion of the total GDP had the largest increase of all sectors of the economy over this four year period, expanding from 12.9% to 14.2 % of the economy’s output. Ethiopia is experiencing the fastest rate of growth in power generation of any nation in sub-Saharan Africa. After starting with a mere 2,000 megawatts- (MW) of electricity in 2009, they had hoped to increase their output to 8,000 MW. This was not accomplished but nation is on course over the next few years to become only second to South Africa in energy production. With the completion of the Gilgel-Gibe III hydro electric project in 2015, a plant that generates almost 1,900 MW, the nation has already doubled its capacity. While GTP I forecast an increase from 41% of the population having access to electricity to 75%, in four years coverage has reached 54%, but this will significantly increase as the Grand Renaissance hydro project begins to come on line within the next two years, adding potentially 6,000 MW of power. In 2009 Ethiopia had a total road network of 49,000 kilometers-(km) and expected to expand to a total of 136,000 km in four years. It fell short of that goal. However, during that period 12,000 km of new roads were added, and additionally 39,000 all weather roads were constructed, resulting in road density increasing from 44.5 km per 1000 squared km to 90.5 km per 1000 km, and travel time to reach an all-weather roads decreased from 3.7 hours to 1.8 hours. Enormous progress has been accomplished in new railway construction, which was negligible in the base year of 2009. In 2015 the 34 km (20.5 mile) Addis Ababa Light Rail Tram, the first of its kind in sub-Sahara Africa became operational. As well, the 753 km (481 miles) Addis Ababa–Djibouti railway, financed and built by China, already began last year transporting food to alleviate the effects of Ethiopia’s severe drought. The biggest and most important advances for the Ethiopian economy were in the primary categories of infrastructure; roads, electrical power, and rail. Manufacturing was not forecast, but increased from a growth rate of 11.6% in 2009/10 to 13% in four years, although it decreased as portion of the total GDP from 5% to 4.4% from 2009-10 to 2013-14. Industrializing the Ethiopian economy is the focus of the GTP II, building upon the accomplishments of the first five year plan. To increase the “productivity and competitiveness of the productive sectors; agriculture and manufacturing industries” is the top priority strategic goal of GTP II. Examining the productive–i.e. wealth creating portion of the economy–GTP II projects annual industrial growth to average 19.8% and the manufacturing sub-sector to grow at 23.8%. Their goal is to increase the industrial percentage of GDP from 15.6 to 22.8 and manufacturing sub-sector from 4.6 to 8 over the next during the five years. During the same period they expect the percentage of GDP in the agricultural and service sectors to decrease respectively from 41 to 35.6 and 43.4 to 41.6. Another feature of Ethiopia’s growth plan is to increase exports and thus generate additional foreign exchange. Merchandize exports as a share of GDP are projected to grow from 6.4% to 11.8%, with the manufacturing exports share of GDP to increase from .9% to 3.1%, and to one quarter of total merchandize export. What is obvious from these statistics is that Ethiopia like the vast majority of sub-Saharan nations has virtually no manufacturing industry and a small export sector. Ethiopia’s chief exports are largely agriculturally based; coffee, sesame seed, animals, leather goods, cuts flowers, khat, and gold. Africa’s share of the global manufacturing export market is under 3%. It is precisely this lack of a manufacturing-industrial sector integrated with mechanized farming that has contributed to the abject poverty and needless loss of lives in Africa. *Increasing power generation to 17,346 MW achieving almost an 800% increase in power generation capacity from 2,267 in 2014, along with an almost fifteen fold increase in per capita consumption from over the next four years. *Increasing by 50% the amount of irrigated land from 658,340 hectares to 954,000. *Providing health services to 100% of its population. *Reducing by more than half; the number of under five mortalities per 1000 live births from 68 to 30, infant mortality per 46.4 to 19.3, and maternal mortality 420 to 199. * Increasing irrigated land from 548,320 hectares by almost 50% to 954,000. *Increasing access to potable water from 58% of the population to 83%. For Ethiopia to realize its vision of the future, especially the elimination of poverty, it is important to understand what types of economic activity actually add value to society and enhance its capability to qualitatively improve the living standard of it population continually from one generation to the next. At a recent conference in Washington, D.C. discussing the failure of Africa to industrialize, a representative of the Africa Development Bank objected to this author’s distinction between investments in physical economy and other sectors such as services and tourism. We stipulate that by physical economy we mean those investments that improve the productive powers of the economy that will enable the society to provide for an increase in the creation real physical wealth over the ensuing production cycles. In other words, not all categories of GDP are equal. Education and healthcare are necessary services that should be more properly comprehended as crucial forms of “soft infrastructures” to complement the categories of “hard infrastructure” discussed above. Other types of services maybe useful, but they should be understood as only ancillary to the physical growth of the economy. Thus, it is not healthy for Ethiopia to continue to have over 40% of its GDP generated from the service sector, and for the service sector to be the largest contributor to GDP as well as the nation’s second largest employer. Money and monetary values are not synonymous with real physical wealth, which makes GDP/GNP more than an imperfect measurement of economic growth. Tourism may bring in revenues, and provide some employment, but it does not contribute to increasing the productive powers of society. Neither does the promotion of over-priced real-estate and luxury hotels actually add any real value to an economy. For any nation to develop, it is essential that expanding its manufacturing sector is an utmost priority, precisely because it is the engine for the growth of a productive industrial-agricultural economy. Ethiopia is correct to pay attention to this sector and to continue its emphasis on infrastructure, which raises the productivity of the entire economy, most importantly its agricultural sector. With the majority of Ethiopians employed in small self subsistence modes of farming, creating modern farms with advanced machinery is essential to feed the population and transform the agricultural industry. Rather than accepting the false axioms of free-trade and globalization, African nations should realize the enormous potential of their own markets of over one billion people, the vast majority of whom are in desperate need of the basic necessities of life. Obtaining self-sufficient capacity to feed one’s citizens is a priority for African nations, in preparation to becoming net food exporters. For Africa to produce over a thousand gigawatts of vitally required electrical power, build tens of thousands of kilometers of rail lines, millions of kilometers of all weather roads, and new waterways to channel surplus water from wet to dry basins will necessitate employing tens of millions of African youth. For the continent, these physical improvements will be transformative, causing a leap in the productivity for all African economies. Investments in infrastructure, especially grand infrastructure projects generate far more than monetary returns; they create the platform for a renaissance in culture and economy. Additionally, governments should fund “non-green” science, research and technology centers to create a science-driver for economic growth. Every African nation not only deserves but is obligated to have operating nuclear fission powered plants to supply the electrical grid with the most powerful form of energy. 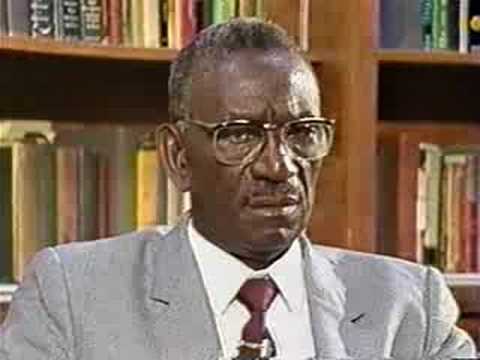 Not only is nuclear the most efficient form of electricity, but as Cheikh Anta Diop insisted over a half century ago; the nuclear energy industry would be an ideal training center to upgrading the skill levels of the working population. In his book, Black Africa, he called for establishing an institute of nuclear chemistry and physics and a pilot fusion center. We should recognize that the generative source of all economic value is the creative human mind that is uniquely capable of discovering new scientific principle leading to the application of technological advancements in modes of economic production. Every human being has the inherent potential to contribute to the future of civilization. Rather than seeing Africa with its bulging youth population as an opportunity for exploitation, as a source for labor intensive and low wage jobs in the globalized world economy, these youth should be trained as skilled workers, engineers, and scientist, to maximize their contribution to society. With all the difficulties Ethiopia faces; its economic growth beyond other sub-Saharan African nations from 2004-2014 is undeniable. 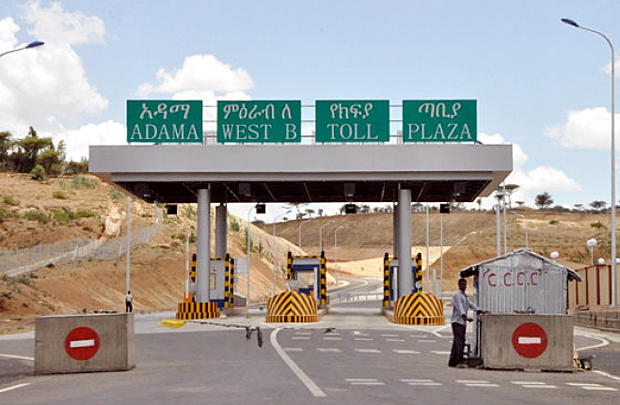 The World Bank in their February 2016 report: “Ethiopia’s Great Run; The Growth Acceleration and How To Pace It” admits the effectiveness of Ethiopia’s state directed policy to promote infrastructure development: They write: “Ethiopia stands out during the 2000s for having registered very rapid infrastructure development. Using data for 124 countries over four decades, the country was among the 20 percent fastest in terms of infrastructure growth over the last decade… these infrastructure growth rates also exceeded those of the fast growing regional peers with comparable income levels.” Yet in the same document they criticize Ethiopia’s unique economic model, and predict its failure unless they liberalize their economy. The World Bank’s defective reasoning is that unless the private sector becomes the “ultimate engine” of growth, including financing infrastructure, and that the government ceases its involvement in nurturing development, Ethiopian’s growth rate will decline. This report and its conclusions reveal two underlying characteristics of the failed thinking of the World Bank and by extension the entire western financial “monetarist” system. One, they do not understand what real economic value is. That is, they do not comprehend why infrastructure uniquely drives economic growth and why state intervention to support investment in infrastructure has been proven over centuries to be the most effective method to finance economic growth. The best of what the United States once was (and could become again) is due to the polices first put forth by President George Washington and his Treasury Secretary, Alexander Hamilton, who reorganized the debt of the colonies, and unified the states through the creation of a national credit bank to finance nationwide infrastructure, agriculture and industry. It is precisely this type of state intervention by Ethiopia to promote economic growth, unique among sub-Saharan African nations that the western financial system most vehemently opposes, if not abhors. Wisely, Ethiopia maintains a protectionist and regulated financial system with restrictions on flows of foreign finance capital. Although it is not stated in their report, the same western financial institutions have been trying for years to convince the Ethiopian government to permit its national banks to be privatized, i.e. to liberalize the banking industry. This of course would open up their economy to the ruinous intrusion by financial predators, which would undermine their pro-growth policies. Thus far the government has resisted these efforts of coercion, including remaining the largest populace without a stock market. Ethiopia’s banking system is composed of sixteen private commercial banks, and two primary state owned banks; the Development Bank of Ethiopia-DBE, and the Commercial Bank of Ethiopia-CBE, which dominates the private banking industry with 70% of its total assets. Ethiopia does not allow foreign owned banks, maintains ownership of key infrastructure related industries, and has one of the highest levels of public sector investment in the world. Actually, the Ethiopian leadership does not reject the role of the private sector, but they do oppose letting the global “markets allocate resources” when it comes to the survival of their nation. Rather, they believe that the state has a primary responsibility to intervene to provide financing for critical categories of infrastructure and other essential areas of investment that promote their developmental strategy. History has proven repeatedly into the present that a nation with a clear vision of the future for its economy has always applied the principle of directed state credit to accomplish their goals, and the private sector, although it has useful function, never has and never will be able to invest in a nation’s infrastructure at the levels necessary to drive economic growth. A new paradigm of development has emerged in the world. With the expansion of China’s “One Belt-One Road” policy encircling the globe, the creation of the BRICS with their New Development Bank, in conjuncture with other liked minded institutions that are dedicated to fostering infrastructure led development, the world had dramatically changed. African nations now have a propitious moment in their brief histories to free themselves from the control of the post Bretton Woods financial system, with their failed lending practices, and to participate in this new alternative pathway to progress. Much can be and should be learned from Ethiopia’s pro-growth policies and the government’s intention to eradicate poverty. We Ethiopian will never follow thier liberalization , freetrade , and other bended dogmas , to the greedy , filthy slave creators( Western Elite ) in which their power deeply rooted on financial playgrounds.They control The Central banks , Medias and government of almost all countries in the world .They want Africas youngest population to work for them , to control the resource again , to enslave us. That why They blame us and predict our failure for not Obeying their rules of game , for choosing our own ways to Eradicate poverity , Creating prosporous and wealthiest Ethiopians and Africans .Look in to china , a country that never gives an ear to Western Elite’s Theories , The same is true for Ethiopia !!! ……… We Blacks will Unite as one divide by none , to Create a peaceful , Economically Sustainable and Enviromentally prosperous Planet 🌎 ! Expect Us ! very interesting article keep it up.